When you’re over fifty, you begin to see the women around you cutting off their hair. 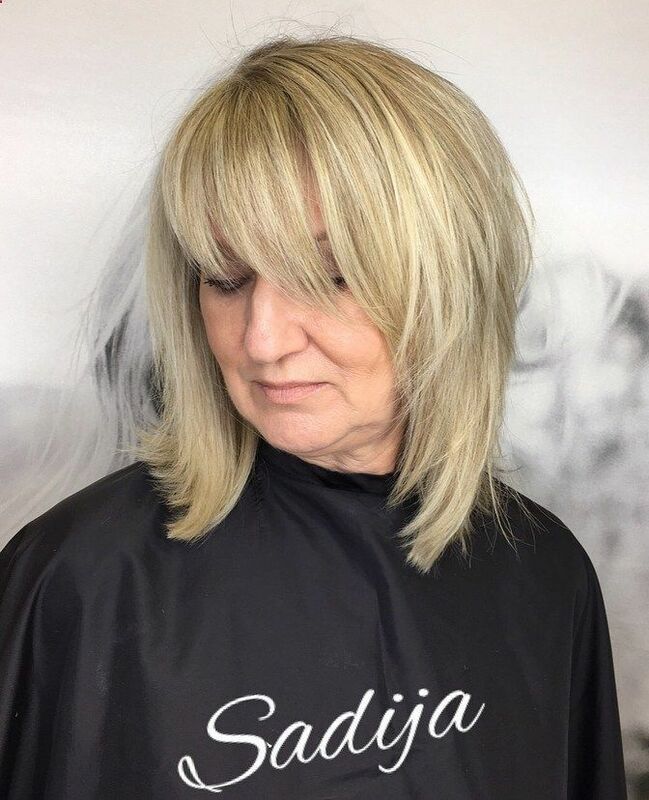 Older women often prefer shorter hairstyles for their ease and practicality, but just because you’ve reached a certain age doesn’t mean you have to lose your luscious locks. 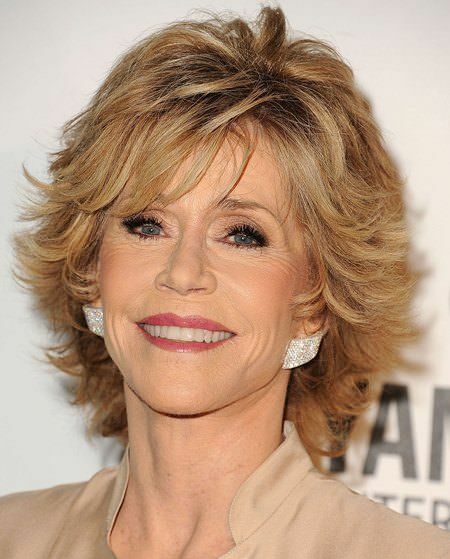 Below we’ve compiled a list of the top 15 long hairstyles for older women. Long hairstyles for older women can encompass a wide range of styles. In fact, the best part about a long hairstyle is how versatile it can be. A youthful ponytail, a regal updo, a stoic bun, flowing locks—the list goes on. And just because you are over fifty doesn't mean that none of this applies to you. As with any age, you want a hairstyle that highlights your best features and minimizes the ones you don't love as much. The features you want to showcase and the features you want to minimize may change as you age, but that doesn't mean the ability to wear a long hairstyle does. Long hairstyles can feature various lengths. The definition of long hair is most commonly accepted as hair that lands at or below the shoulder blades. It is not uncommon for long hair to be much longer than shoulder-length, with some long hair reaching waist-length and beyond. Looking for a hairstyle that will add volume and dimension back into your hair? The layered cut is an ideal choice for those looking to keep the length right about shoulder-length or collarbone level. This looked is achieved by keeping the longest layer at the shoulders and the top layers staggered throughout. Not only is this look easy to maintain, with side-swept bangs you can add a youthful and fun appearance. Ready to take a layered cut up a notch? A layered hairstyle with bangs is not only youthful, but it's also a great style to incorporate with any hair color. The best part of the layered with bangs hairstyle is you can customize it to fit just about any face shape. Do you have some gray hairs peeking through? Believe it or not, there are hair colors out there that beautifully flatter gray hair. 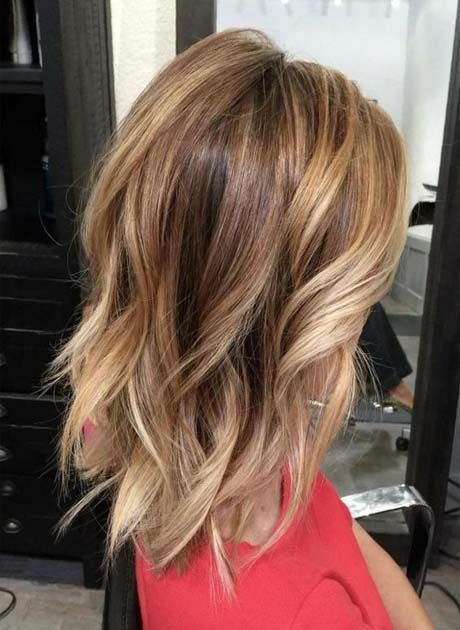 The brown-blonde layered look is achieved by a coupling of brown and blonde highlights and lowlights to create dimension and depth. When you’re looking for long hairstyles for older women, you’ll probably run into a lot of pixie cuts. Just because you’re over fifty, doesn’t mean you have to go short. The blonde balayage with dynamic layers is a flirty and fun look you have to try! Not only does the color keep you on-trend, but the dynamic layers help bring unrivaled volume to the crown of the head. Do you have a round face? If you have a round face shape, the bangs and feather face-framing is one of the most perfect long hairstyles for older women you can find. If you want to keep your length as long as possible without weighing down your ends, this is the ideal choice. One of the most popular hairstyles for women over the age of fifty is the straight blowout. The straight blowout is an easily maintained and easy to achieve a hairstyle that has been fashionable for years. If you have thin hair, we suggest keeping at the shoulder or just above to achieve the most volume and a fuller appearance. Looking for an easy way to update your look without updating your cut? Adding highlights and lowlights to any hairstyle is a great way to spice things up. Highlights and lowlights add dimension, depth, and a touch of youth. 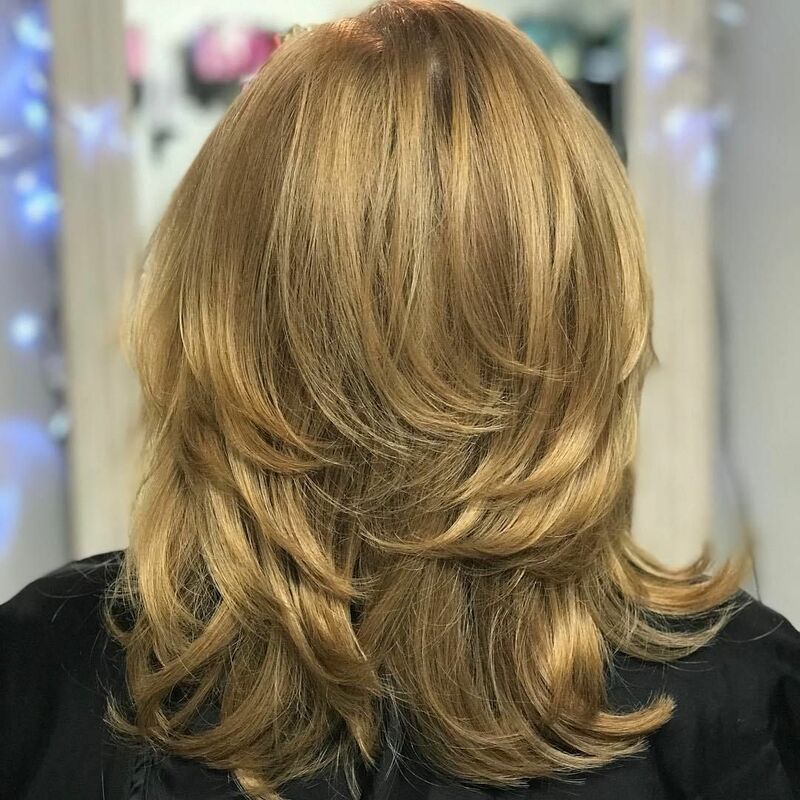 If you’re looking for long hairstyles for older women but aren't ready for a cut, highlights and lowlights are a great way to go. 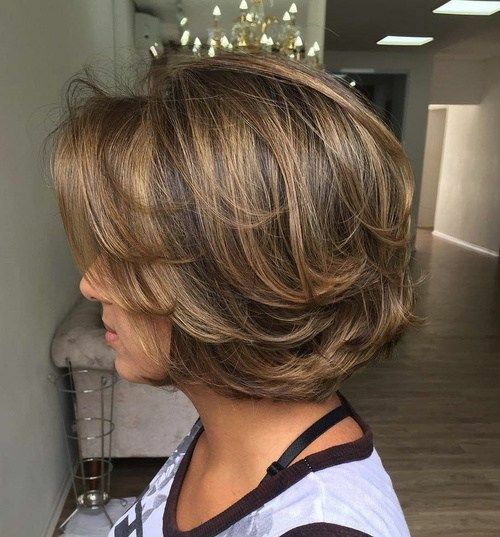 Want to try this look with a new cut? 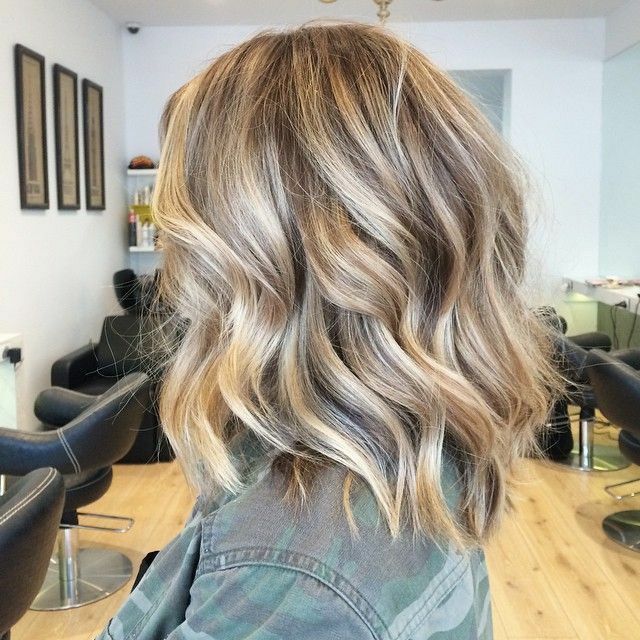 Try adding some soft layers to help show off your new color! If you’re not looking to go too long, the shoulder-length with flicked out ends hairstyle is a great choice. This style is not too complicated and is easy to maintain. The best part about this style is when it grows out; it maintains its shape beautifully. If you have naturally curly hair, this is one of the best long hairstyles for older women around! Curly hair is hard enough to fight, so let it do its natural thing! 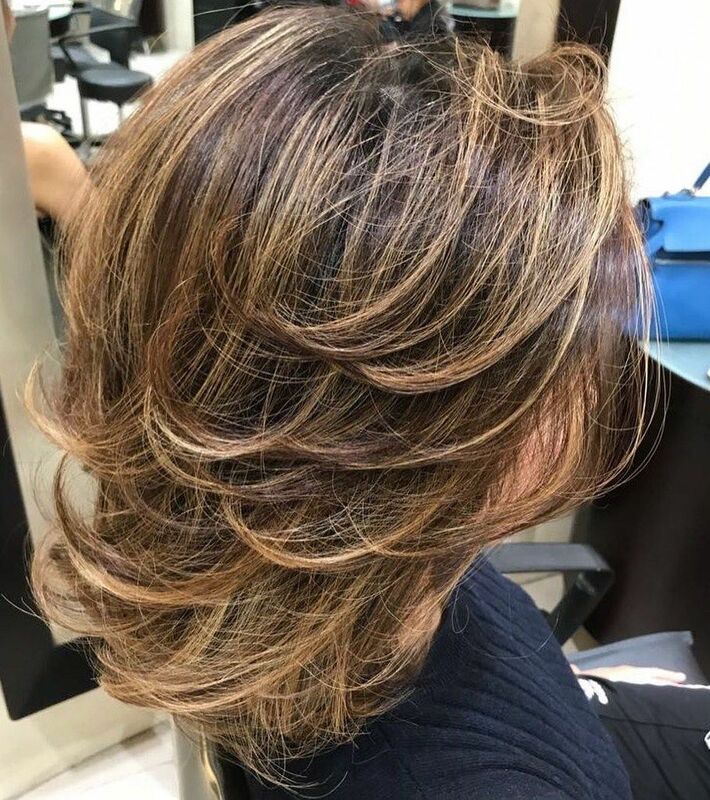 Not only will curly hair keep you looking young, with blonde highlights you can add the beautiful dimension that your friends will be sure to ask you about. With longer hair, it’s easy for styles to weigh your hair down. The overlapping layers hairstyle is one of the best long hairstyles for older women that adds movement back into the style. The best part? This cut requires little maintenance and styling time! The buttery blonde style is one of the most youthful styles on our list. Blonde is a popular choice among women over the age of fifty because of how youthful and on-trend it is. Not only that, a buttery blonde color is an excellent choice for graying hair. Light colored hair hides and blends gray hair much more naturally than darker colors. However, we only recommend going for this style if you have very healthy hair! Dying and bleaching your hair can easily damage it, so make sure you’re keeping things healthy before changing up your color. Long bombshell hair never goes out of style and looks incredible on any age! Keep the sass alive with this ageless look. We absolutely love to see this style paired with a gorgeous and striking red. Make that red hair sparkle with blonde or golden blonde highlights throughout for an added twist. Do you have thin hair or sparse hair? We have the perfect style for you, the body-building layers. Body-building layers are a great way to give limp or lifeless hair volume and lift. The best part about this look is how easy it is to maintain and style. Merely tousle the hair after a shower, add a bit of hairspray, and you’re good to go! Long hair for older women doesn’t have to incorporate short, choppy layers. If you’re looking for the best hairstyle to fit your individual face shape, try some swoopy layers. Swoopy layers are a great choice if you’re looking for a casual yet put-together look that’s always fashion-forward. Our favorite color on this style is a strawberry blonde. Think Barbara Walters—that’s the elegant beauty we’re emulating here. Not ready to embrace the gray? Warm and wavy hair has been famous for years and for all age ranges. Not only is this hairstyle wonderfully modern and fun, but it’s also a timeless style that screams youth and vitality. The best part about this look is the versatility. The shorter your layers, the more bouncy and fun your curls are. The longer your layer, the more casual and beachy the style becomes. Whether you’re concerned about finding a style for your hair texture, length, or color, there is no shortage of styles out there to choose from. Finding a style that fits your individuality and your lifestyle is important. Keep an eye out for styles that fit that amount of effort you’re looking to put in. Don’t select a high-maintenance style that will take a minimum of twenty minutes to do when you don't see yourself committing to over five minutes in the morning. We also recommend that you pay special attention to which styles may require frequent trips to the hair salon for a trim. Believe it or not, shorter styles require much more maintenance than longer styles. The more layers you have and the shorter your layer style, the shorter your time gets between salon visits. It can be easy to get discouraged when looking for hairstyle inspirations for women over the age of fifty, but don't let some antiquated social rule about women needing to cut their hair at a certain age dictate what you do with your locks. The only rule you should care about is the one that says when you look good; you feel good. If long hair makes you feel good, then long hair makes you look good, too. Yes, We Can Teach You How To Crochet And Read Patterns, Seriously!